When I first started blogging, there were no other “Nate Whitehill’s” who ranked for their names in Google. Within a month, I ranked #1 for my name. Now, not only do I rank for my name, but I have been given an “authority listing” in Google for my name. Similar to an “indented listing” (see below), an “authority listing” is a site which has received a significant of natural backlinks, total number of daily searches, and high quality linkback “authority” from other high PR sites, over a long period of time. Many of you know that I have been blogging since January of 2007, so, it took me about a year for my name to receive an authority listing on Google. Not only does an authority listing appear as the first result, but it also has 4-5 other links directly under it pointing to other high PR pages within your site. I am sure that Google listed my “23 Things I’ve Learned After 7 months” post only because it is probably the most linked-to post on my blog. Well, for one, I will start to receive more traffic for my name than previously. In this Google Analytics chart, it shows the number of searches per day for my name over the past year. As you can see, search traffic spiked in late September, but has also been steadily rising over the past month. Why is it good to rank high for your name? On the Internet, your reputation is a lot more important than your resume. Anyone can start a business online or make money, it doesn’t take any special degree or incredible resume. However, online reputation can help tremendously when it comes to effectively networking or marketing online. Not to mention, if a potential employer really wanted to find out about you, they would Google your name and not just look at your resume. Just as long as you have surrounded your online reputation with positive and noteworthy achievements, then it can only benefit any online OR offline new job opportunity. Any other “Nate Whitehill” who wanted to rank #1 for his contact would have very difficult time doing so thanks to my new Google Authority listing. What do you rank when you type in your name? Do you have an authority listing? I’d love to see my blog in the position yours is. Are you able to live off your blog earnings? Congrats man. Good stuff. I had one for a site I had, I sold that though. Keep it up man. Hey, looks like I got mine now too. Awesome! Or you can do a search for fat man unleashed, it’s been a little less than a year since I launched the blog. Nice one, Nate! You deserve it, so well done. Actually I typed in your name Google and I saw Site Links before reading this post. Good Job. I think Consistency is key in blogging to get an authority listing. I have couple of other sites which have Authority listing, I think links from quality sites are important for that kind of listing. 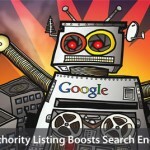 Pingback: Authority Listing in Google does it mean anything to your site? Great job! How can I get http://www.ride-strong.com to have an authority listing? Can you do a post on how to go about getting an authorithy listing? 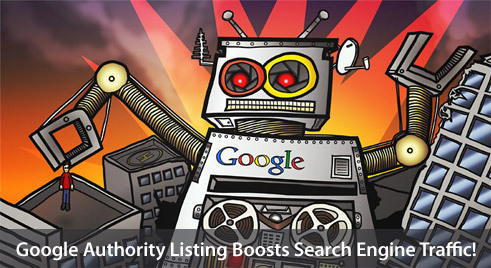 Authority listings are only given out by Google. It seems to be a combination of having a lot of searches for your site’s name, plus many people linking to that site over at least a year period of time, because that is how long it took me. I will write an article about some other key factors that go into that. I am sure there are few of my searches in that. good work. So that’s how those types of search results appear. Thanks Nate – I figured it was based on pagerank & site depth but also thought there was an element initiated by the site owner. Guess not. Congratulations Nate. I’ve been blogging a couple of months now. Long way to go to get an authority listing. Hey, good for you, getting that authority listing from Google, actually i didnt know that it could make that much of a difference, so your post was an eyeopener. Wooow nice! I thought you had to be like top 100 Alexa sites or so to get this listing. Congratulations, Nate! My site recently received that treatment (got 7 links underneath the listing) and the site is nearly 2 years old. Not as many links as your site I guess! Very cool – We just noticed the same thing here at my day job, and I was definitely more excited than I should have been. Apparently, there’s a foreign rum with the same name as the company, so it took a while to build things up to that point. I understand that this happened when your site is already well-spidered by Google and you have many quality backlinks. Authority Listing helps Internet searchers in determining that there are more pages behind what is shown on top a search result. Congratulations1 That’s quite an achievement. Good job. It also means now you have a good site you could use to send some link juice to a new site helping it to rank. good for you nate! i looked at my blog, nope, its not an authority yet. Great and congrats, on the same, my website is still very new, but not yet got Google authority listings. Waiting for my side to be happen the same as much as early as possible. Authority site means, the website is one of the best website in it’s topic. Congratulations for having your website an Authority site from Google. Looks like i got mine too …. noticed it today for some reason … still don’t know what it really means though … guess time will tell. I thought you could activate those via webmaster tools. Did they create that one for you? If so, i think it means they had a real person come to and evaluate your site. Last year one of my Con Man’s Blog pieces (how they do it) was selected as a Google “Blog of the Day.” Does that count? how do u determine if you site has been given the authority by google? is it that you have to rank no 1 for your site name? mine ranks in no 2 rite now. I am confused as how to determine an authority site? 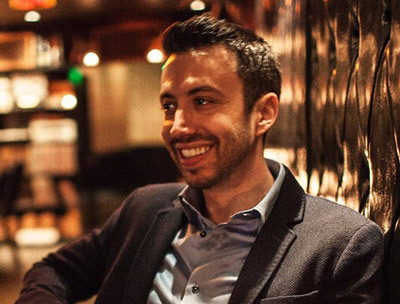 Nate one has to do lot to get “authority listing ” you got from google.Its an reward for your outstanding performace.All the Best for your future. I got mine too for LoveGirls … I was over the moon!